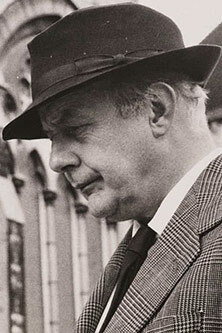 Sir John Betjeman was given an Award of Doctor of Letters honoris causa by City in 1972. Beginning his career as a journalist, Sir John was a writer and broadcaster, and is probably best-remembered as a poet. He became the British Poet Laureate in 1972. Betjeman also had a special interest in Victorian architecture and was a founding member of the Victorian Society - an appreciation and preservation society for architecture from the period. Sir John was also made a CBE. He died in 1984.